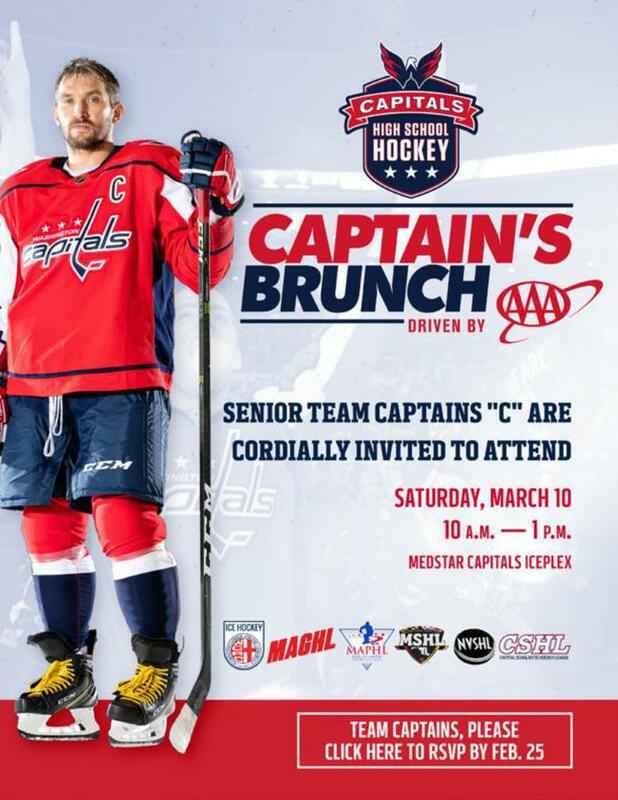 The 2019 Washington Capitals Captains Brunch will be on March 10, 2019 at the MedStar Capitals IcePlex (formerly Kettler Ice Center) in Arlington, VA.
Click here to register. The event is open to Senior Captains only. No Alternate Captains or Junior Captains.